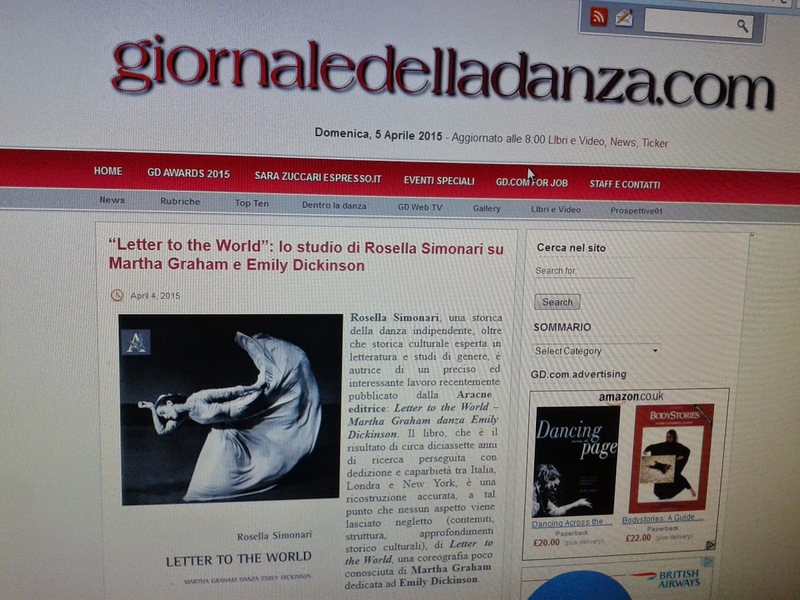 Another review of my book, Letter to the World: Martha Graham danza Emily Dickinson has been published a while back by Leonilde Zuccari in Il giornale della danza. Here a link to the page. (The first one was by Krapp's Last Post by Stefania Zepponi, here the link).